Richard Anderson of Flaptraps Art is making a roll in Science Fiction and Fantasy genre for his wondrous and surreal cover arts. Any new cover from him is worth any news already and the second book in the Time Salvager series by Wesley Chu is no exception. 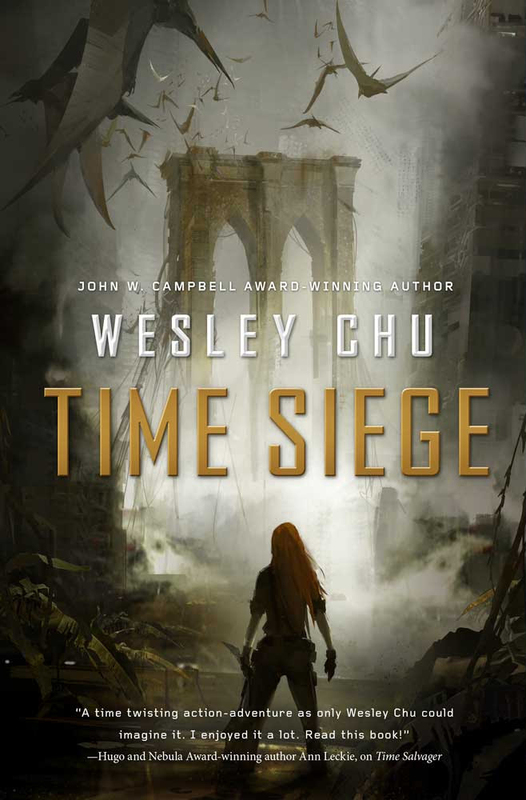 Prepare your self to be mesmerised by the cover of Time Siege from the John W. Campbell award-winning author Wesley Chu. Take you guess on what's going on with the sequel based on this gorgeous cover! Check out the cover of Time Siege by Wesley Chu. Time Siege by Wesley Chu will be released on July 12th 2016.